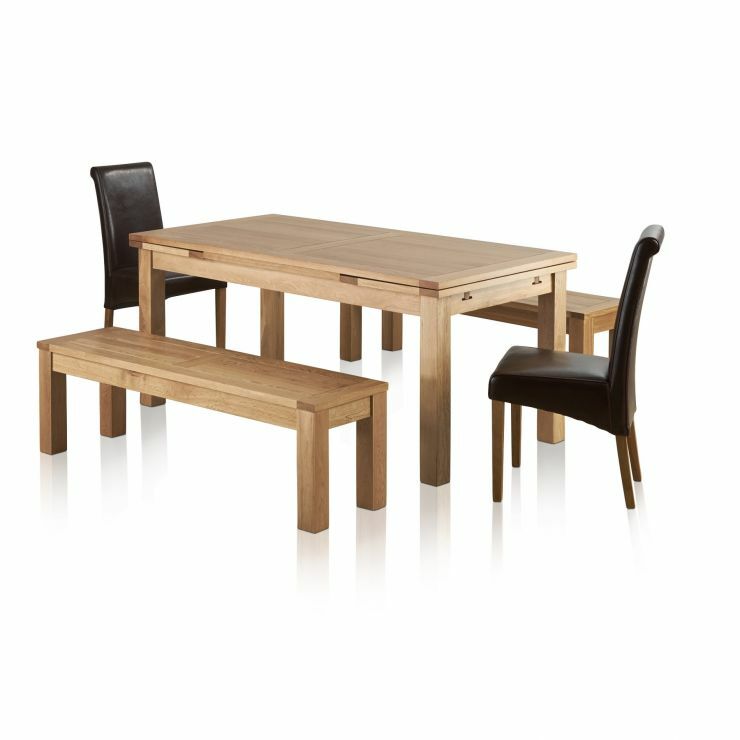 Perfect for dinner parties or everyday meals with the family, the beautiful Dorset extending dining set is the ideal investment in style and durability. 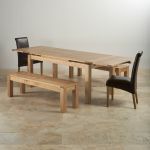 Made from high quality solid oak, the 6ft x 3ft dining table showcases a classic yet contemporary design with a clear wax polish finish. 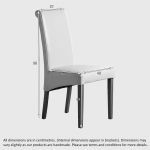 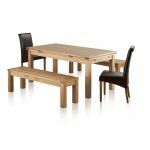 Featuring two extending leaves, it's designed to comfortably seat up to 10-12 people with two oak 4ft 11" benches and two scroll-back dining chairs. 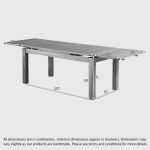 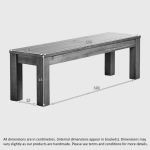 Slim enough to fit neatly beneath the table for storage, the benches are crafted from the same solid oak timbers with softly rounded edges for a country cottage inspired finish. 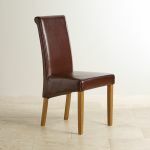 Upholstered in brown real leather, the classically styled scroll-back dining chairs complete the set with a lasting dash of luxury and comfort. 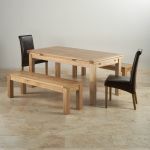 To make the most of the additional space created when the table is extended, why not invest in two Oak Square Stools? 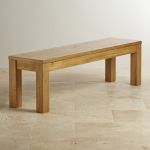 Great for seating extra guests, the Square Stools make excellent side tables when not in use - so you needn't worry about where to store them.